A sketch of the new flagship Lenovo Z5 smartphone. 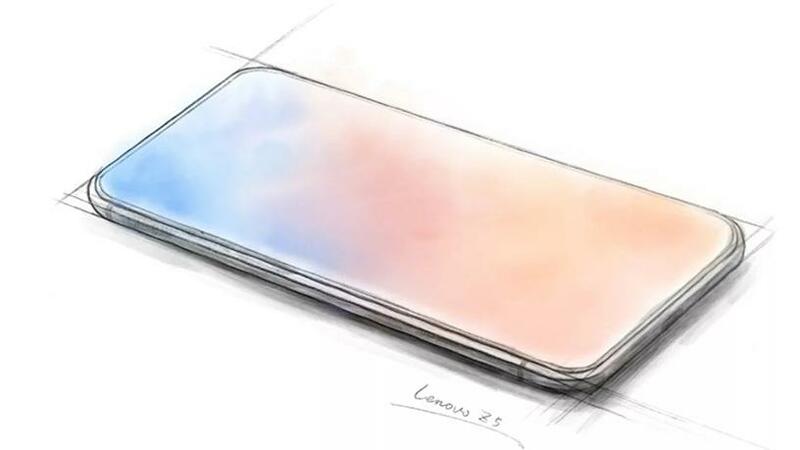 A sketch, teased by Lenovo, of its new flagship Lenovo Z5 smartphone, shows the device to feature a truly full edge-to-edge screen, without adhering to the infamous 'top notch' trend. Lenovo vice-president Chang Cheng posted the product drawing on Chinese social media platform Weibo, with a caption saying the new flagship will feature four technological breakthroughs, including 18 patented technologies. The iPhone X was the first smartphone to introduce an edge-to-edge display late last year; however, it had to keep a black notch at the top that housed the front-facing camera and speaker. This year, a number of Android smartphone manufacturers also incorporated the infamous 'top notch' into their flagship devices, including the LG G7, the Huawei P20 and P20 Pro, and the Asus ZenFone 5. In another post on Weibo by Cheng about the new device, he asked his audience to guess what the screen-to-body ratio of the smartphone would be. He gave four options: 80-84%, 85-89%, 90-94% and 95%. The Samsung S9 and S9 Plus devices have 83.6% and 84.2% screen-to-body ratios, and the iPhone X has 82.9%. At the moment, the largest screen-to-ratio on the market, but not currently available in SA, is the Essential Phone with 84.9%. It is not yet known how Lenovo will deal with the front-facing camera and speaker on the Z5, but it could have something to do with the technological breakthroughs Cheng hinted at. One way the company could decide to deal with the camera was already displayed in a concept device by Vivo at Mobile World Congress this year. The demo unit also had a full edge-to-edge display, and built the front-facing camera into the top of the phone, and when users wanted to use it, it would pop-up periscope-style from the top of the phone. Lenovo has said it will release all details about the smartphone on 14 June.